SecurityStockWatch.com: Thank you for joining us today, Sam. Please give us an overview of your background and your role at CheckFree which is now part of Fiserv. Samuel Robb: I am currently a Vice President in the Global Payment Solutions Group responsible for product management and business planning. I have over 12 years of experience in the cash management and payments industries having held a variety of product management and payment strategy positions for leading cash management providers and technology vendors. I was previously on the steering committee of the NACHA Electronic Check Council and was the co-leader of the council’s Strategic Initiatives Work Group. I also co-sponsored the NACHA Back Office Conversion Product Group, which developed the operating rules for Back Office Conversion. I have also been on the NACHA Payments Conference Planning Committee for the past three years. I received a Bachelor’s degree in economics from The Johns Hopkins University. I am also an Accredited ACH Professional (AAP) and a Certified Treasury Professional (CTP). 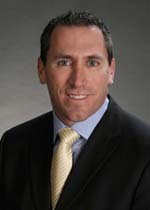 SecurityStockWatch.com: We understand you’ll be speaking at the upcoming NACHA – Payments 2008 Conference. May we have an overview of your subject at Payments 2008? Samuel Robb: I will be co-presenting a workshop entitled ‘Check Electronification Best Practices’. This workshop introduces participants to the four check-to-ACH conversion transactions: BOC, ARC, POP and RCK, as well as WEB and TEL, in which the check is used as a source document for ACH payment initiation. The NACHA Operating Rules and relevant regulations are discussed, and the responsibilities, obligations and liabilities of the parties to these transactions are examined. Business case, implementation, and operational issues are explored, with specific attention to notice requirements, authorization, identification, exception item handling, and verification procedures. Discussions include effective risk management techniques and current business opportunities for ACH electronic check applications. We also examine recent statistics and trends, lessons learned, and education efforts that have been employed to minimize industry impact and improve overall awareness. SecurityStockWatch.com: Please give us an overview of CheckFree solutions and your value proposition. Samuel Robb: Transformation of the payments landscape is accelerating. During the past five years, check volume has decreased 4.1% annually, ACH volume has increased 18.6% and according to the 2007 Federal Reserve Payments Study, 40% of all checks are now being electronified. All of these trends are expected to grow. It is becoming critical for you to consider how the future of payment processing will impact your institution and to formulate the steps necessary to create an enterprise view of all payments. To facilitate elimination of payments processing silos, CheckFree has developed Pragmatic Convergence as a strategy to help financial institutions see its way to achieving enterprise-wide payment convergence. Among the rapidly evolving payments landscape, opportunities abound to capture new revenue, expand market share and delight customers. Yet multiple payment silos, duplication of systems and cost inefficiencies make it difficult to deliver competitive, customer-centric products and services. CheckFree – now part of Fiserv has established an extensive portfolio of industry expertise and proven technology to build on the promise of payments convergence through a pragmatic approach. Streamlining and optimizing payment processes is an imperative for financial institutions that wish to remain competitive and profitable in today’s environment. As its name implies, Pragmatic Convergence provides financial institutions with a low-risk method to quickly realize payments convergence with minimal integration and customization. Pragmatic Convergence enables financial institutions to provide value-added payments processing services to customers while enhancing the efficiency of your tried-and-true infrastructure. As the only provider with consulting expertise and technology solutions across cash, check and ACH payments, CheckFree is uniquely positioned to help financial institutions to increase revenues, reduce costs, operate more efficiently and comply with regulatory requirements. SecurityStockWatch.com: What you’re your target markets and what is your perspective on the market drivers for CheckFree solutions at this time? Samuel Robb: The core target market for CheckFree’s software solutions has historically been Tier 1 global financial services providers. As we integrate with Fiserv, we intend to expand that core into the Tier 2 and 3 institutions that are traditionally strong markets for Fiserv. More specifically, we have historically targeted the operational “back office” of financial institutions. Our solutions enable banks to provide a variety of services to their clients, and many of them are focused on the increasingly complex world of payment processing. Obviously, this market has been challenged by the mortgage and credit crises of the past year. While our customers are clearly feeling pressure to more tightly manage costs, we have benefited from the fact that many of our products and services focus on helping clients to do just that – find new revenue while managing overall costs. We believe that in a difficult environment, now is the time for financial institutions to invest carefully in ways that will make them more efficient and responsive to customer needs when the current downturn starts to improve. SecurityStockWatch.com: Are there one of two “wins” or success stories you’d like to talk about? Samuel Robb: While we typically don’t comment on specific sales opportunities, I believe that the overall market reception to our “Pragmatic Convergence” story has been a pleasant surprise. We have been talking for several months now about our clients’ need to address the impact of Payments Convergence both within their own walls as well as within the walls of their corporate clients. Our message has been to recommend an approach that addresses the critical issues caused by the blending of traditional payment types, but doing so in a rational and pragmatic way. That message has been shared with the analyst community and with a number of our large clients, and the feedback has been overwhelmingly positive. While we are not ready to announce anything publicly, we are in discussion with several financial institutions about constructing long-term initiatives that will address the fundamental changes occurring in the payments business while protecting the investments that these banks have made in their legacy systems. SecurityStockWatch.com: Thanks again for joining us today, Sam, Are there any other subjects you’d like to discuss? Samuel Robb: Not at this time. Thank you.